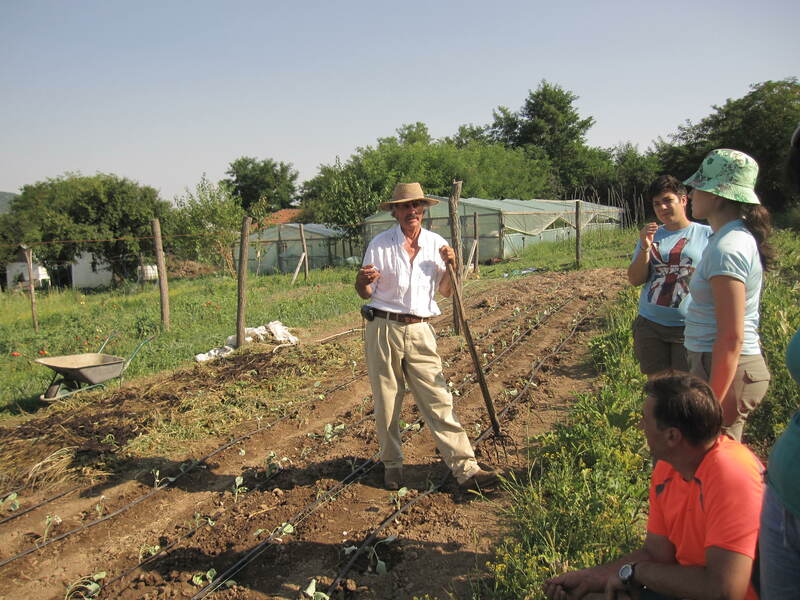 Blog Advanced permaculture design course in Romania! The Advanced Permaculture Design Workshop will be led by Steve Hart (a senior and highly experienced permaculture designer from New Zealand). It will also be supported by Martina Petru. This intensive practical workshop will be spent making a professional design of AMURTEL’s CSA (Community-supported agriculture) farm in Poieni. This is a prerequisite for those that have never attended a PDC or haven’t attended one recently. It will introduce and refresh your knowledge of permaculture basics. * We recommend advanced knowledge of English. The course will take place at the AMURTEL Poieni Farm near the town Patarlagele, Buzau County, in ROMANIA located 120 km from Bucharest and 50 km from Buzau. The organic farm grows fruits and vegetables for AMURTEL’s nearby children’s home and after-school center, as well as providing vegetables through a Community Supported Agriculture partnership with a group of consumers in Bucharest. Accommodation in a collective dormitory rooms with 3 bunk beds, 1 fold-out double bed (for couples). We also have plenty of accommodations in the Familia AMURTEL home in the nearby village of Panatau, but it requires going back and forth by car. A limited amount of tent space is also available (most of the land is under cultivation). Steve Hart has 40 years experience in the design industry combining the disciplines of Architecture, Landscape Architecture and Urban Design through Permaculture. Having a visionary approach mixed with field practicality a grasp for the big picture and all the elements that make up the whole/ Originating from New Zealand Steve shares experience from many differing projects of a wide scale through several countries and many environments. He is a natural networker connecting with all people to advance collective positive outcomes. He is a designer passionate about organic solutions connecting all layers of community. Permaculture Martina recognises the values in designing sustainable communities through kitchen gardens food and neighbourhoods. She is excited about combining all levels of the community through food gardens either in the school yard or intensive broad acre systems. She shares the wealth of her native rural Southern Bohemia Czech. Accomodation and food: 35 euros for 3 days. * Residents of Romania will receive a discount to make it more accessible for local participation. This price covers the training materials, training, accomodation and 3 delicious vegetarian meals per day for the days of training, starting with lunch on Saturday and ending on Monday lunch.